In case you haven’t noticed, I’m not a huge fan of cake as we know it. I’m pretty thrilled when I pull off a layer cake, and I swoon at Molly Yeh’s gorgeous creations, but I’ll almost never go into a bakery, look at the cake options, and say, “ooh, I’ll take a slice of that, please.” In fact, for our wedding we had a rustic and delicious pie station with three sweet and tart options to sample and devour (apple, pumpkin, and cranberry pear, of course) in lieu of the traditional, schmancy multi-tier wedding cake, and our guests didn’t even miss it. But — combine a cake with a brownie, flavor it with almond and orange, and call it a torte, and I will throw my hat back in the cake ring with relish. 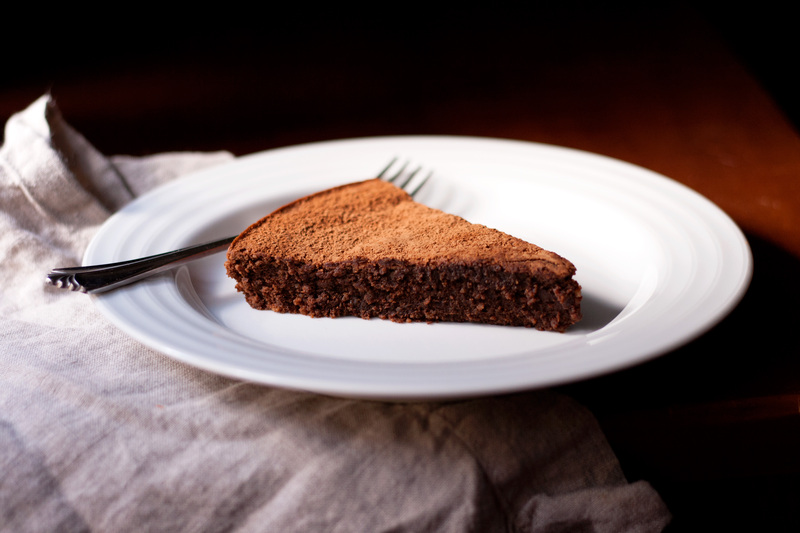 This chocolate amaretti torte comes straight from the archives of Giada de Laurentiis. I have been making it for well over a decade, since those under-employed days after college when I would spend hours in front of the Food Network, and it’s still one of my family’s most requested desserts. 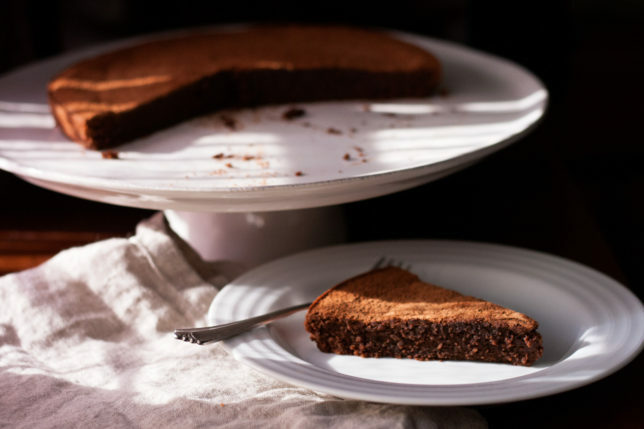 Instead of flour, this dense little cake gets its heft from ground almonds and amaretti cookies — crunchy, sweet, slightly bitter little almond-flavored clouds. 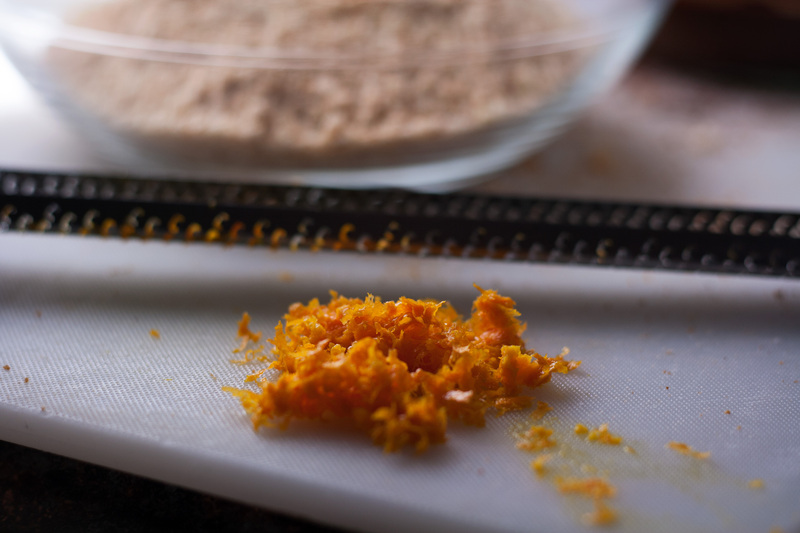 Their flavor is extraordinary when pulverized in a food processor and paired with melted chocolate and grated orange zest. Some sugar, butter, and a few eggs are all that are needed to hold it together and make it sing. It can be eaten daintily, on a dessert plate with a cake fork set on a table, a linen napkin in your lap, or with your hands, a paper towel on your belly to catch crumbs while you’re sprawled out on the couch binge-watching The Golden Girls. It is, in essence, a decadent brownie with an incredible amount of flavor complexity that is exceedingly simple to make. 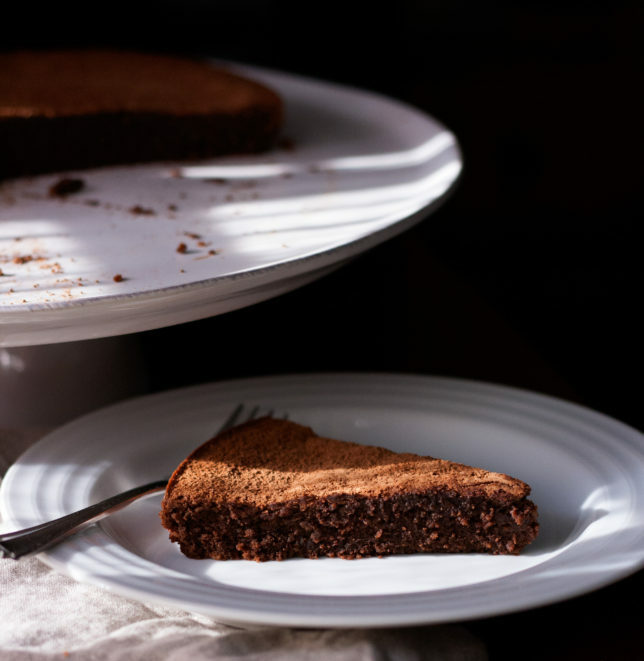 This chocolate amaretti torte proves that cakes don’t need to be tall and layered and dressed in frosting to be amazing. In fact, after tasting it, you might prefer that they weren’t. 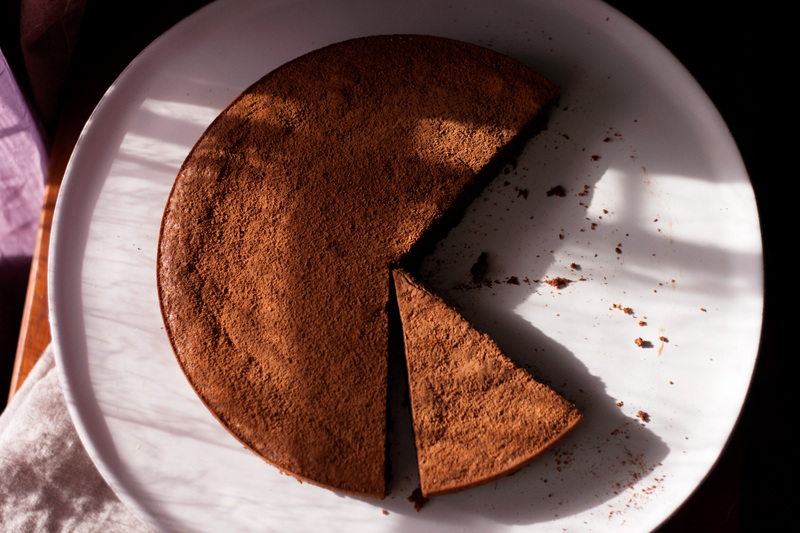 Some amaretti cookies are, on their own, a gluten-free cookie, meaning this cake should be gluten-free. However, I’ve found that most brands warn that they may be contaminated with gluten during processing, and some actually have wheat listed in the ingredients. 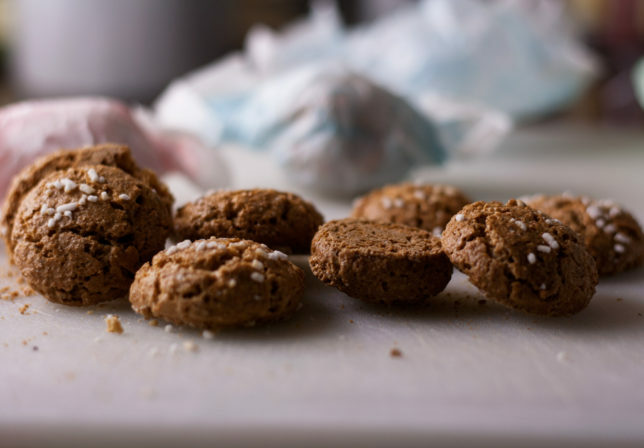 I’ve made gluten-free amaretti cookies in the past and used them in this recipe without problem. If you’re buying them, just make sure to buy crunchy amaretti cookies, not soft ones. As for the chocolate, the original recipe calls for chocolate chips, which I’ve always appreciated since they’re easy to measure and I always had them around. However, since I’ve started buying the Pound Plus Bars from Trader Joe’s, that’s usually all I have on hand, and I love the extra dark chocolate flavor the 72% cacao imparts. If you prefer a sweeter cake, by all means go for a sweeter bittersweet, or even a semi-sweet! Preheat the oven to 350 degrees with a rack in the center. Grease a 9-inch springform pan with cooking spray (or butter or oil) and refrigerate until ready to fill. Microwave the chocolate until melted and smooth, stirring every 20 seconds, for about 1 minute. 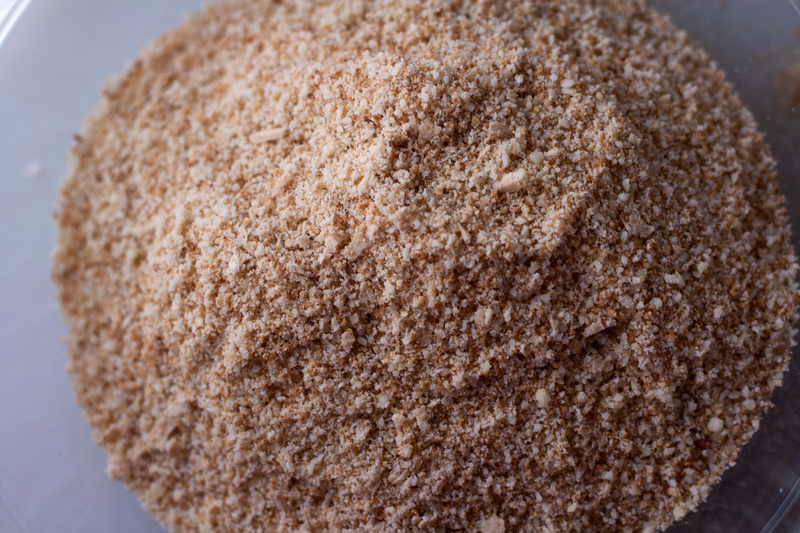 Combine the almonds and amaretti cookies in the bowl of a food processor and pulse until finely ground. Transfer to a medium bowl and set aside. Add butter and sugar to the food processor and blend until creamy and smooth. Add the orange zest and pulse briefly until incorporated. Add the eggs and blend until incorporated. Scrape down the sides of the bowl and blend again. Add the ground nut mixture and melted chocolate, and pulse until blended. Clean the sides of the bowl and blend again. Pour batter into the prepared pan, and bake until the center puffs up and a tester inserted into the center comes out clean, about 35 minutes. Cool the cake in the pan on a cooling rack for 15 minutes before unmolding. 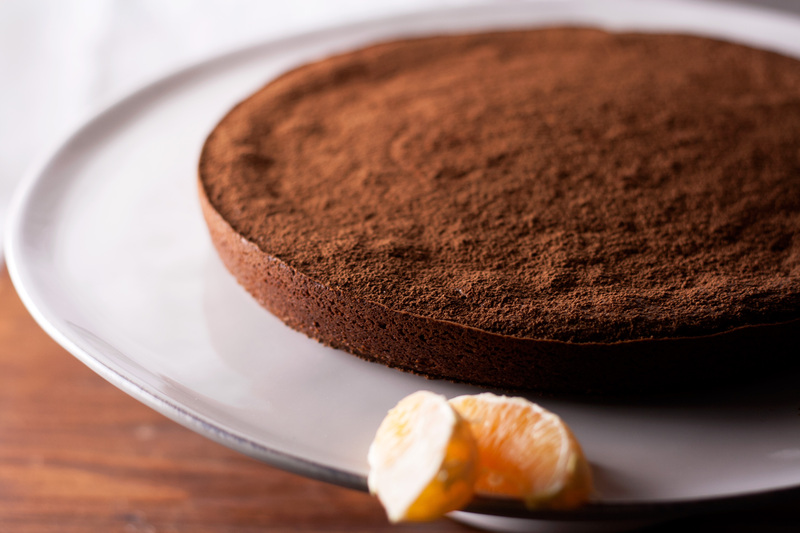 Transfer cake to a platter lined with parchment to keep it clean. Sift cocoa powder over top. Slide the parchment out from underneath and serve.